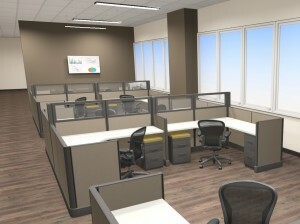 RandMOffice.com is your one stop shop for used, refurbished and new office furniture. We sell A-grade, quality commercial furnishings with huge discounts off of new retail pricing. 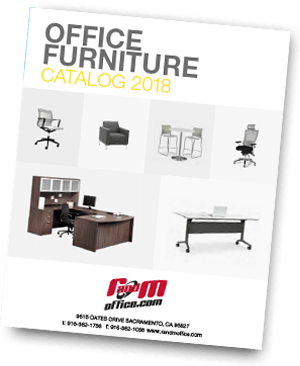 The Brown family established the business in 1985 when they discovered a demand for used office furniture among Sacramento’s business community. We scoured the country for liquidated office furniture from companies going out of business, downsizing or upgrading their equipment. To further address consumer needs, we quickly incorporated a reupholstering service to RandMOffice.com. With one visit to the warehouse, customers could view, select and then customize the look from hundreds of samples. From there, this grew to offering new laminates, custom paint colors and powder coating services allowing clients to get their ideal design without sacrificing quality, and without the need to buy brand new furnishings. We have since carved out our niche by specializing in refurbished and remanufactured Herman Miller modular systems furniture, arguably the best on the market. Companies large and small have taken advantage of the tremendous savings afforded by going with a refurbished product, allowing them to spend their hard earned capital on additional infrastructure that would have otherwise had to wait. The dedicated employees of RandMOffice.com are a large part of our longevity and success — most have been with our company for more than 10 years, some over 20. Clients refer to employees by name, which lends to our local-family-feel while providing our big-company-quality customer service. Because the community has helped facilitate our success, we have offered our support to many non-profit organizations with monetary donations and quality office furniture.